Paddy McHugh is passionate about camels and he's written to me with his views. Our Cooperative Research Centre doesn't actually deal with camels (we share one PhD student with the Desert Knowledge CRC). AAP asked my views the other day and I gave them a quote along the lines of "if I was a camel I wouldn't mind getting it in the head". "It" is a bullet. From a helicopter. Shock. Horror. But think about it. Some of the people spouting camels as a resource are talking about wild capture and transport to an abattoir. Having had horses most of my life, I know the first experience of a yearling loading onto a truck can be traumatic to both animal and handler. The idea of putting wild camels onto a truck and transporting them thousands of kilometres (everyone forgets how big Australia is) fills me with dread. Welfare-wise, a bullet is much more humane. I don't believe a market exists to sustain a camel industry. If you can sell a kangaroo in Queensland at the moment, you'll only get 65c/kg - less than half the price of a few weeks ago and not worth the price of the fuel, labour and bullets to harvest. I reckon camel prices would fluctuate wildly in the same way. Of course, anyone who wants to farm camels can do so - this cull doesn't affect those that want to farm. Apparently there are systems for grazing cattle with camels and getting greater productivity from the land. But you need a market. 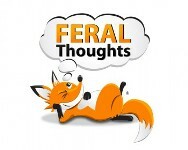 Never let it be said that Feral Thoughts is not completely fair and balanced in its approach. So I reproduce below Paddy's views for consideration. Culling is a Blind man’s solution to the camel problem...!! I would like to bring to your attention another side of the Australian camel problem and the industry’s potential. At the moment 19 million dollars spent on just the wholesale slaughter of camels is not the answer. I am deeply disturbed by what is about to happen and feel that people and the media have only been told only one side of the story and a very slanted and incorrect one at that. My name is Paddy McHugh and I have been working with camels in Australia and overseas for some 35 years. I have seen many things come and go over the years and we have now reached a point where we are at the fork in the road. Do we go down the path of mass slaughter, disease problems from rotting carcasses, dingo explosion and missed opportunities or do we look to the future, a golden opportunity of another viable rural industry for this country with employment in a new bio diverse industry that will employ hundreds of Aboriginal people and bring large amounts of export dollars into this country. The people in APY lands and CLC deserts are being told complete untruths and are having the wool pulled over their eyes in one of the greatest immoral scams this country has ever witnessed. The traditional land owners are yet again about to be ripped off and left in the dark. As a very good friend of mine has stated “The Camel is the animal of the 22nd century” This statement came from Dr Alex Tinson who is quite possibly the world’s leading camel vet and works for the President of the UAE. My office receives dozens of emails seeking camel products from milk, meat, blood and all the by products that come from this animal, the potential for this industry is immense internationally. The commercial side of this potential industry has been suppressed in discussions regarding the feral problem, a mandate to shoot the camel at any cost is absurd, they are completely one track and have absolutely no vision or hands on experience in the husbandry and handling of this animal. Out of the 19 million dollars that has been allocated for this slaughter none of it has been put into education and training or industry development and that is where the bulk of this funding should be put. Who is accountable here..? I acknowledge that we do have a camel problem that needs to be fixed, but the mass shooting of them is certainly not the answer, it is not even close, all parties need to come together and discuss this animal’s future. Industry given money and political clout will not only fix the problem but stabilise and control it and give many people a great future. I am urging the review of the distribution of the money allocation so that it is spent in education and training and the development of a great industry for Australia. A commercial business plan, some practical market development and some people that know what they are talking about is essential for the industry’s long term success. For years I have tried to passionately champion the camel and its potential in Australia and it is now time to take a firm stand against the so called experts that are ill informed on these matters. I will not let the mindless slaughter of these animals take place. Many people will have senseless blood on their hands with what is about to happen. paddymchugh.com (Paddy sent me a picture of culled camels, but my blog won't accept the file type).